We’re all probably already aware of how beneficial hiking can be, and it’s a favorite outdoor activity loved by many. Hiking isn’t an outdoor activity that has to be shared by company, as fun as that may be, because you can face your fear and hike alone! 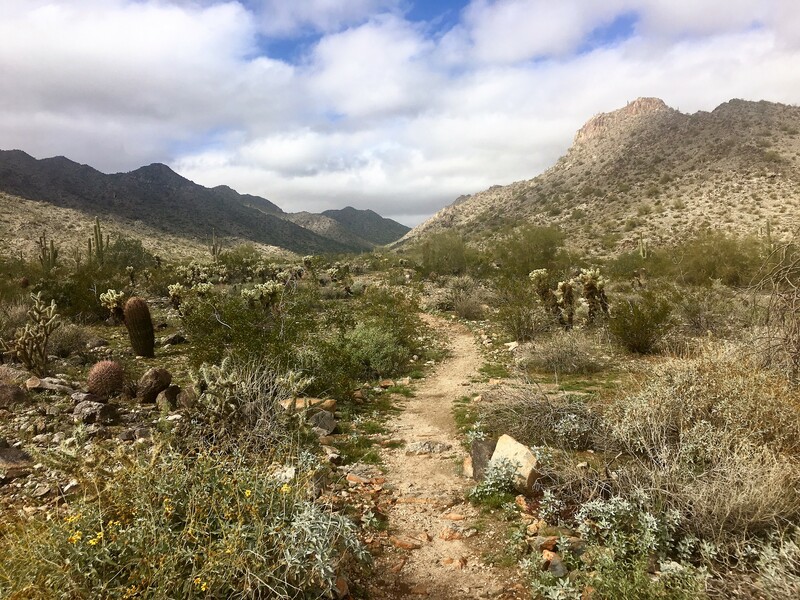 Ever since I’ve moved here to Arizona, I knew I would be surrounded by so many mountains and hiking trails that I need to take advantage of. 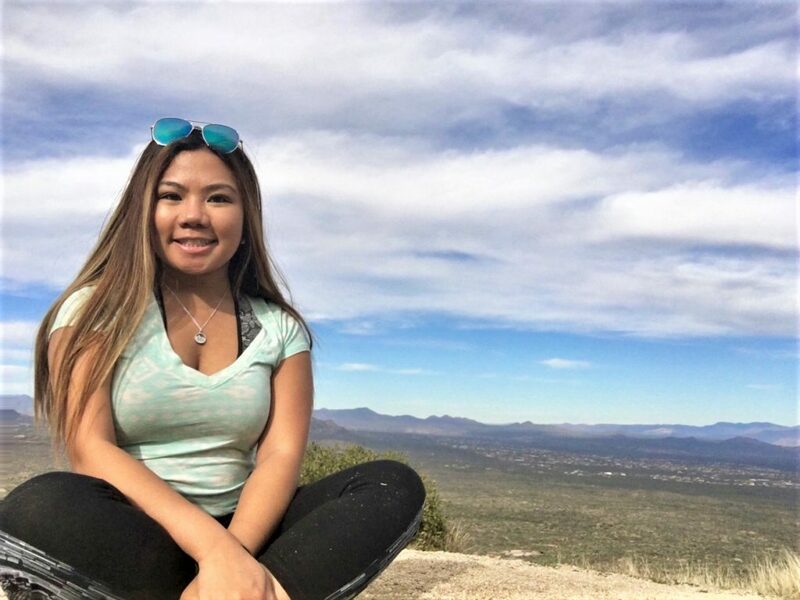 Hiking was always something I’d done occasionally back in my home state and traveling, but Arizona gave me more confidence to go solo hiking than any other place. 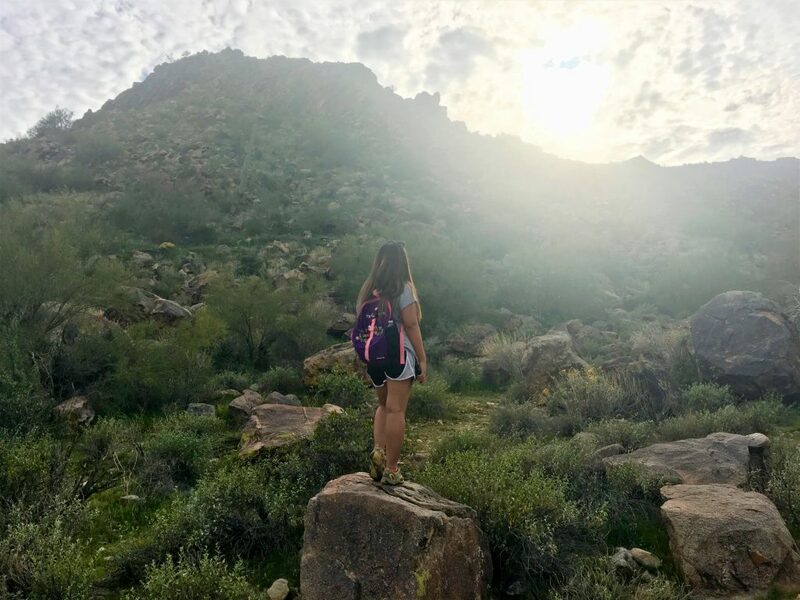 Solo hiking is such a brave and empowering move to do, and I will continue to see myself doing it especially as I’ve decided to participate in the 52 Hike Challenge! 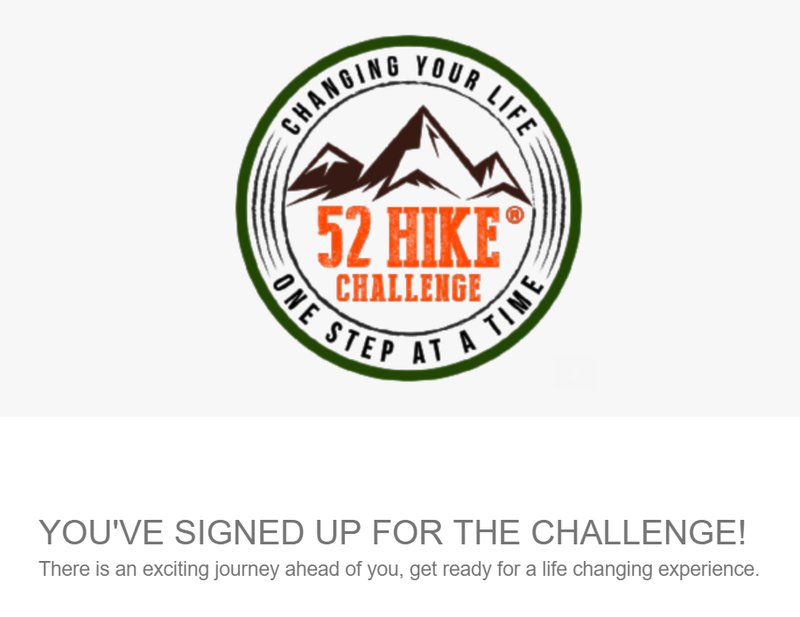 The 52 Hike Challenge (https://www.52hikechallenge.com/) is a global challenge that encourages people to hike once a week (there’s 52 weeks in a year), thus you’ll have to challenge yourself to do 52 hikes, but this is one of the best ways to gain the benefits physically, mentally, emotionally, and spiritually. 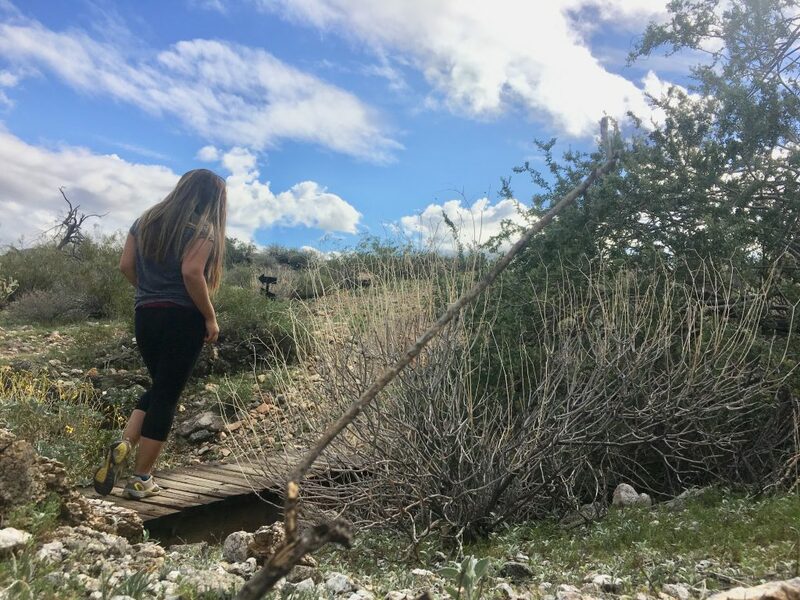 Most people who do this challenge sets it as a goal for themselves to create a personal journey and let it inspire or motivate them in a lot of those benefits that hiking provides. 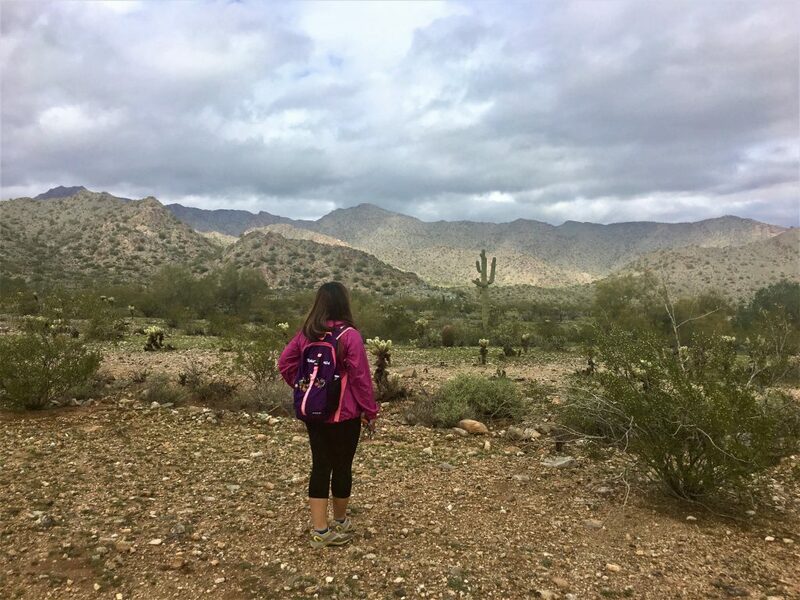 Upon signing up and doing this challenge, the idea of hiking 52 times is just beyond my imagination, but I’m excited to see where my journey will take me, and one of the things that will help me accomplish this is to embrace the idea of solo hiking. I also recognized that for the last year I wasn’t as active as I would’ve hoped to be. You can read my whole explanation of why I’m participating in this challenge here. Solo hiking may seem scary and I’ve gotten reactions from others thinking I’m crazy for doing it, especially as a young woman. However, I’ve gave up wanting to wait to do things because someone couldn’t come with me to my plans, and this applies to solo traveling too. I spent many months in the summer in New Jersey waiting to hike, but hardly did, because I couldn’t find a friend to come with me. If it was a year ago, I would not ever try solo hiking. But when I finally got around to, I learned that it’s so empowering in the way it’ll shape your mentality and confidence, and I love continuing it. You’ll be doing a lot of self-reflecting. This is your chance to get away from the busyness that work and daily personal duties bring on and require you to take your attention and focus on those. You’ll finally be able to think a little more clearer when your surroundings are not of an office, your home, etc. but of nature. It’ll help you to be creative. As someone who constantly needs their creativity in their own field/work, this is something I appreciate. With self-reflecting, you’re also probably brainstorming of things you wouldn’t think of if you were in a busy environment, and the brain in nature actually has profound impacts and behaviors including boosting your memory. I actually thought of creating this blog post from a solo hike I did yesterday. You’ll get to go on your own pace. No more waiting for others to catch up or asking others to slow down for you when you’re with them. I love this the most about solo hiking because you’ll be doing things accordingly to your own desires and fitness. It’s less messier in that way. Learn outdoor skills and other skills on your own. With yourself to only rely on, you’ll be doing a lot of decisions on your own. You’ll also be able to practice (or just go for it!) what it’s like to navigate yourself, be cautious and self-aware, and to learn how to set things up (for example, if you’re camping or need to cook). You will also probably learn directions better and read through a map. You’ll face your fears. You’re going to be alone with no one to protect you or hold your hand through it. You’ll come in contact with bugs, maybe animals, weather changes, heights, and anything that nature brings that can scare you. You might also become a little more heightened on your senses and feel paranoia (which I personally experience sometimes), but trust me, this is normal whenever you’re alone. Now, if you’re a bit convinced solo hiking is something you can try, there are some things you should prepare ahead as a hiker. 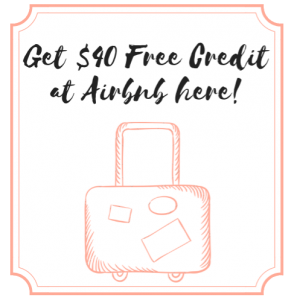 This includes packing the right things in your backpack and things that I recommend you should do. Later on, we can discuss the Do’s and Don’ts as a solo hiker (because knowledge holds power!). An insulated/thermal water bottle. You can also carry a plain water bottle (I tend to carry more if I know it’s going to be a longer hike), but it’s more eco-friendly this way. These water bottles can keep your water cool for hours. A compass. This is especially useful for those unclear, poorly marked trails and although, you’re probably thinking right now when you would ever need this, but if your phone dies or the GPS no longer works, you may need this. Pepper spray. As a female, I often get told that there may be people who will harm and this is a good tool to use as self-defense for any attacks coming your way. Let’s hope we’ll never have to use this. A flashlight. I know most smartphones now a days carry a flashlight, but like I said what happens if your phone dies and what if the light on there isn’t the most visible? Sometimes, you might find yourself hiking out too late or when it gets dark, so this becomes an essential. A phone battery pack. Sometimes, our phones die and you obviously can’t charge it out in nature! A phone battery pack will be great to keep as a back up to keep the juice of your phone running. Trekking poles. These are so useful especially if you’re climbing up or down steep areas and can increase your average speed. Try to get the ones where you can adjust its size and still fit it in your backpack. A map of the trail you’re hiking. You may already find this downloaded into your phone but if you can get your hands on physical maps, take them! They are useful references. A knife, rope, and first aid kit. A knife can be used in many situations (imagine getting your piece of clothing caught somewhere) and a rope may also be useful in helping you pull up something. A first aid kit is for emergencies of where you hurt yourself. Also, don’t forget to bring medicines you need. An extra thing to carry but not an essential: your camera. Because with beautiful views you’ll see outside, you will feel tempted to capture them. You can use your phone as your camera or you can bring a lightweight professional camera. Wipes, moist towelettes, hand sanitizer, biodegradable soap. You can choose which ones you’d like to bring, but one or two of these are great. You might need to use the bathroom out in nature and whenever you’ll be snacking/eating, practicing hygiene is important. Bring food and snacks! Make sure you bring food that can balance out your electrolytes and can fuel your energy. Go for perishable foods if it’ll only be a day hike, but if you’re planning to make it more than a day, non-perishable foods are best. These non-perishable foods would be best if it’s easy to carry, ready to eat, and easy to make without much tools to cook it. Wear great hiking shoes! I love my Merrell branded shoes. Your type of shoes for the hike will make a big difference in how you hike especially soles with grippy spikes. 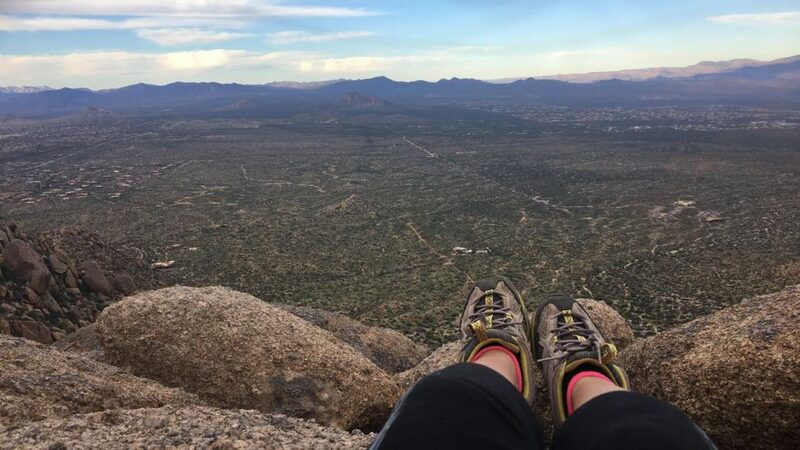 There are so many different types of hiking shoes out there and you can use REI’s expert advice on how to decide what shoes are right for you. Download the AllTrails app. This is my favorite app for hiking of all time. You can find many trails around your area from here (that’s how I find what hike I want to do), give you GPS directions to get to the trail there, provide an overview of how long the hike is and the miles you’ll do, have the ability to record your hikes (the traction, the calories you’ll burn, the elevation gain, and oh, you can use this as reference as a map), and you can write reviews for other hikers to talk about the hike. If you have this app, you can create your own profile and have everything you record, you can see my AllTrails profile here, for example. 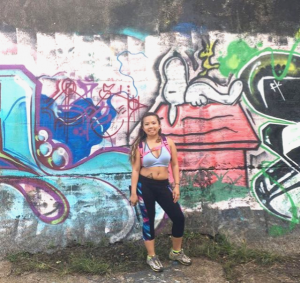 For more hiking tips, check out my ultimate guide on how to prepare for a hike as a beginner here. In time, you’ll probably learn to be a smarter hiker, but if you’re well aware and knowledgeable of the things you should do and don’t ahead of time, you won’t have to face consequences. Tell a friend or someone you’re going hiking. This is truly important as a solo hiker. You need to let a good friend and/or family member know about where your whereabouts are. Give them a description of the hike, where it is, and you can also give send them your current location from your phone. Do a hike that is well-marked and are well reputable. Choose a hike that you know is used by many and that you can easily navigate yourself around. Make sure you read reviews of the hike prior going and see if there are any obstacles or challenges that might add difficulty to your hike. Try to keep track of trail markers and feel free to take pictures of spots on the trail to help you remember where you were before. Keep your AllTrails app on at all times. I really believe in recording and keeping a downloaded map of the trail I’m hiking open at all times (and it still works whether you have service or not on your phone). This makes it easier for me to track if I’m on path in the right direction. Be realistic about your hikes. Make sure this is a hike that you know you can be capable of. It’s awesome to challenge yourself, but don’t over-stress it and tire yourself too easily and push yourself further. If you’re tired, don’t be afraid to take a break and wait it out until you feel like you’re okay again to walk more… which leads to my next point. Don’t forget to take water and food breaks! Keep yourself hydrated and don’t starve yourself. Eat if you feel you need to and drink when you can. Be aware of your surroundings! Please thoroughly review your hike trails and all of the conditions of the area you’re hiking. This means keep in check of the weather (and what the weather will be later that day, not just the weather of when you’ll start your hike) and any warnings that you can find upon the place you’re crossing upon. Make sure you understand what wildlife will be there and to keep an eye out on. Make sure you know which areas are private properties that you should avoid. Keep up a confident attitude. If you feel like you’ve researched your trails enough (this means you’ve read what you were curious about and asked questions if needed) and understand all the functions of your gear, then keeping your mind to believe you feel you are confident, you’ll be able to hike better. Don’t be afraid to ask strangers to take a picture of you! When I’m solo hiking, I sometimes just find a way to prop my phone up somewhere and use the timer on the camera, but it doesn’t make the best picture at times. So, if you see someone else hiking on the same trail, don’t be shy to ask them to take a picture of you! You might even get into a friendly conversation with them. Always listen to your instincts/guts. Your instincts is a real thing and it will let you know if you sense something is wrong or if you believe something is right. If you believe it’s getting too dark to continue hiking, I would turn back around and hike back to where you parked. If you believe you sense an animal or person preying on you, I would try to back away as much as possible and keep walking. When it comes to solo hiking, you’ll only be using your own judgement, so make good use of it by making good decisions. Don’t cross through private properties. It may be tempting to take a short cut from a hike but if you see there are private properties around, that is trespassing. Avoid them as much as possible and this applies to finding parking for your hike too. Don’t be overly trusting of strangers on the trails. Yes, I did suggest you can ask a stranger to take your picture, but if they’re giving off a weird vibe to you (this is where your instincts kicks in), walk away and don’t interact with them further. Don’t feel like you have to also keep up a conversation with anyone especially if it’s not someone you believe you can genuinely connect with. Don’t leave your garbage or waste out on the trails! You might have just ate something or just have garbage, but please try to not litter. It’s important to keep the environment clean as possible. The saying “Leave a place better than you found it” is so accurate with this. Try to store your garbage in your backpack and wait to throw it out until you find proper disposal like a garbage can. Don’t do anything risky on your hikes. This basically applies back to being realistic about your hikes. Solo hiking is NOT the right situation or idea to try anything beyond your limits. 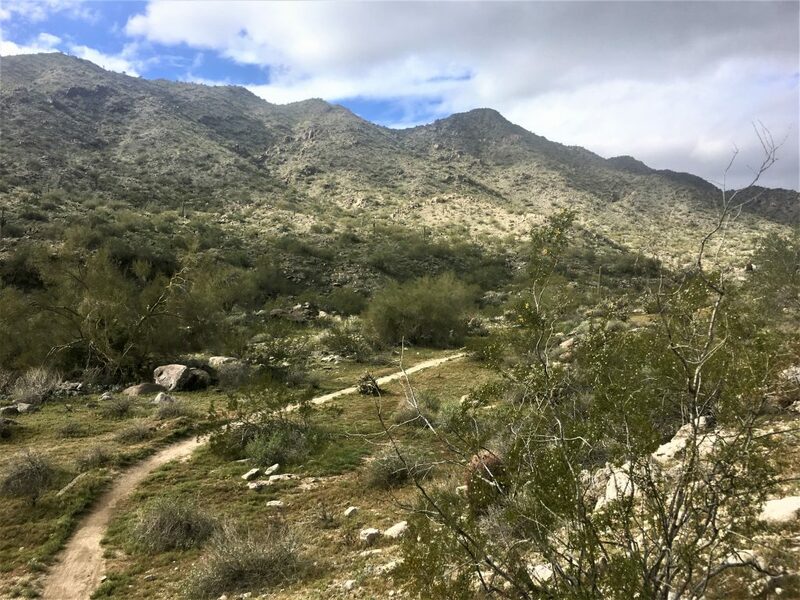 Don’t fool around where you can injure yourself and don’t ruin anything that can interfere the trail for other hikers. 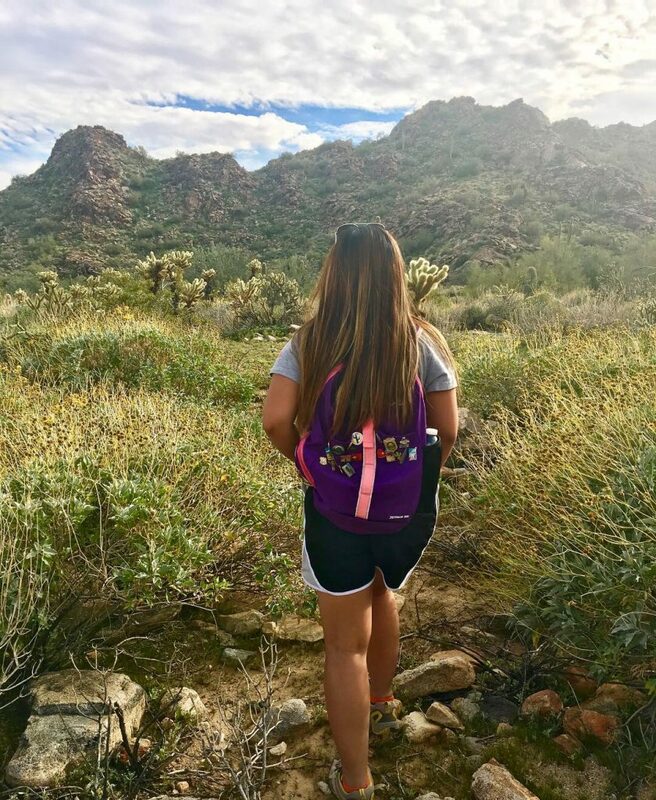 I hope you found this whole post useful for your own next adventure of solo hiking and that it’ll inspire you to get out there alone! Just because you’re alone in trying something you probably always wanted to do does not mean that you’re truly alone. There are millions of people who commonly do this and there’s a community out there who truly love the outdoors to do something as brave and empowering as this. As for me, I’ll keep doing this as a thing I can’t live without (after all, I have 52 hikes to do in total to end the year with!). If you have any questions about solo hiking you’re still curious about, feel free to contact me or comment below. Also if you would like to follow my 52 Hike Challenge journey, follow me on Instagram, where I’ll be sharing all of the hikes I’ll be taking on! Hey Allan! Thanks for the suggestions. I’ve been told to bring tweezers whenever I go hiking out in this state, which I plan to, since I do tend to run into so many cacti and I’ve actually gotten pricked once by it. I’ve heard of the jumping cactus and have seen it happened to my mom, they can be quite a hidden surprise. Glad to hear you’re safe though from your experience. This is so amazing! I have always wanted to hike trails! Keep up the good work! Thank you so much Mary! I hope you get to try hiking one day. I can definitely see how solo hiking could be a great time for self reflection! Yeah! That’s one of the best benefits of solo hiking, for sure. I think everyone needs to take a step back and reflect on things they need to sort out in their minds and hiking is an effective way to do that. Thank you 52HikeChallenge! I’m so happy you enjoyed reading it. I love taking on your challenge!